Austin Police are staking out street corners downtown today to nab drivers on their cell phones. Not quite as dramatic as the day they borrowed a Cap Metro bus and drove down the interstate, looking into cars and radioing to motor officers stationed along the highway, but arguably more effective. While tickets don’t necessarily discourage people from breaking the law on handhelds, one aspect of the law actually encourages compliance. During their enforcement Friday, officers on bicycle and motorcycle will be at a location in downtown Austin from 7 a.m. until 2 p.m. They did this enforcement for the first time in downtown last Friday and wrote 99 citations. That citation costs $220, but there is a first-time violators program and drivers can get out of paying that ticket with the purchase of a hands-free device. “If they purchase that blue tooth device after receiving that citation they bring that device in along with the receipt to talk to one of the prosecuting attorneys they will dismiss the ticket on what’s called deferred disposition,” says Michael Barger, Austin Police Department Highway Enforcement Unit. Violators still have to pay court costs but APD says it amounts to less than the full citation. 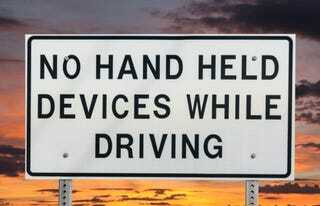 It should be noted, though, that you must spend a minimum of $150 on the hands free device.